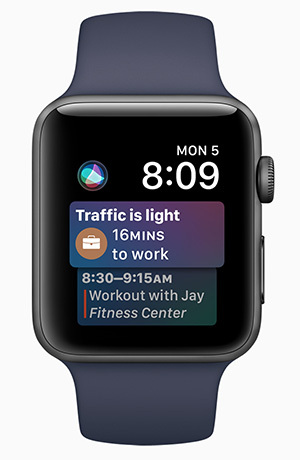 According to the latest prediction from International Data Corp., the worldwide wearables market will increase 20.4 percent this year compared to 2016, and nearly double by 2021 — reaching a total of 240.1 million units shipped that year. The majority of that growth will come from the watches product category, which IDC anticipates "will account for the majority of all wearable devices shipped during the forecast period." "The wearables market is entering a new phase," said Ramon Llamas, research manager for IDC's wearables team, in a statement. "Since the market's inception, it's been a matter of getting product out there to generate awareness and interest. Now it's about getting the experience right — from the way the hardware looks and feels to how software collects, analyzes and presents insightful data. What this means for users is that in the years ahead, they will be treated to second- and third-generation devices that will make the today's devices seem quaint. Expect digital assistants, cellular connectivity and connections to larger systems, both at home and at work. At the same time, expect to see a proliferation in the diversity of devices brought to market, and a decline in prices that will make these more affordable to a larger crowd." Wristbands: "Once the overall leaders of the wearables market, wristbands will see slowing growth in the years ahead," according to IDC. While the category will be propped up with low-cost devices with "good enough" features for the mass market, the research firm said, consumers "will transition to watches for additional utility and multi-purpose use." Earwear: Defined as devices that and send information back and forth to a smartphone (in addition to Bluetooth functionality), the earwear category represents just 1.7 percent of the market this year, but will see a compound annual growth rate of 39.7 percent by 2021. Clothing: "The smart clothing market took a strong step forward, thanks to numerous vendors in China providing shirts, belts, shoes, socks, and other connected apparel," IDC said. "While consumers have yet to fully embrace connected clothing, professional athletes and organizations have warmed to their usage to improve player performance. The upcoming release of Google and Levi's Project Jacquard-enabled jacket stands to change that this year." Others: Lesser-known products like clip-on devices, non-AR/VR eyewear, and others will "bear watching as numerous vendors cater to niche audiences with creative new devices and uses." For more information on IDC's Worldwide Quarterly Wearable Device Tracker, visit the company site.